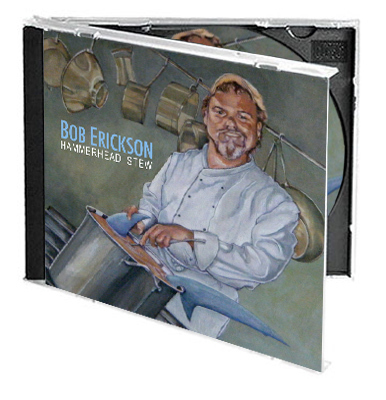 While Bob Erickson was busy recording his new CD, I tried my best to work out a cover for it. 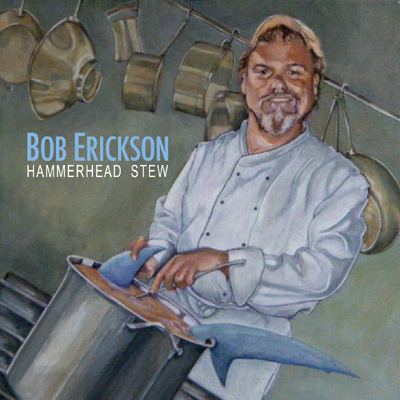 We decided to place him on the front – cooking his ‘famous’ Hammerhead Stew – while on the back, the hammerhead shark is cooking him in revenge. The illustrations are done in mixed media on illustration board. The text was added later in InDesign. 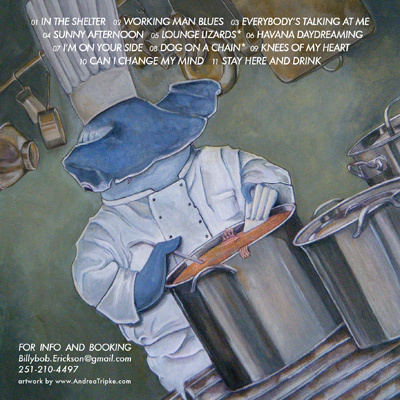 You can see Bob live every Thursday 7 p.m. at the FlyCreeCafe in Fairhope, AL. 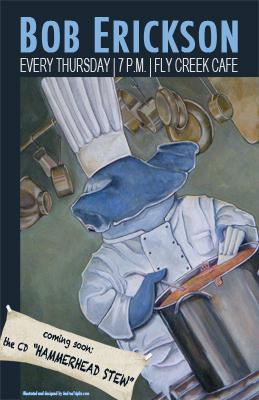 This entry was posted in Blog, Illustration and tagged Illustration, poster design on March 2, 2010 by admin.